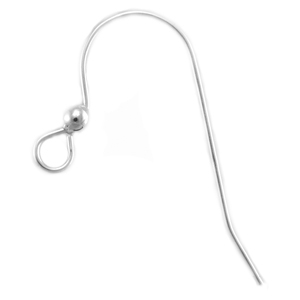 Sterling Silver French Hook Earwires, round wire, with ball. Piece measures approximately 25mm from very top to bottom of tail. These are now longer than the previous version (those were 19.5mm).